under local anesthesia and without hospitalization. The word “Aesthetic” comes from the Greek “Aisthêtikos”. This term refers to the concept of meaning,perception and beauty. It is therefore understandable that cosmetic surgery is a field of medicine that combines body and mind. In our society, it is not always easy to find a perfect physical and mental well. To feel good in your body makes you feel better in your head. 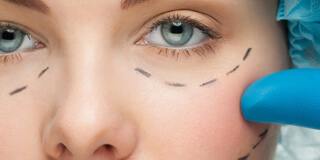 We are pleased to welcome you on this website with general information on Medicine and Aesthetic Surgery . For additional information specific and personal, a consultation is necessary in order to better help you and inform you about your expectations about various techniques. This first contact is necessary to establish a mutual trust based on transparency and confidentiality.